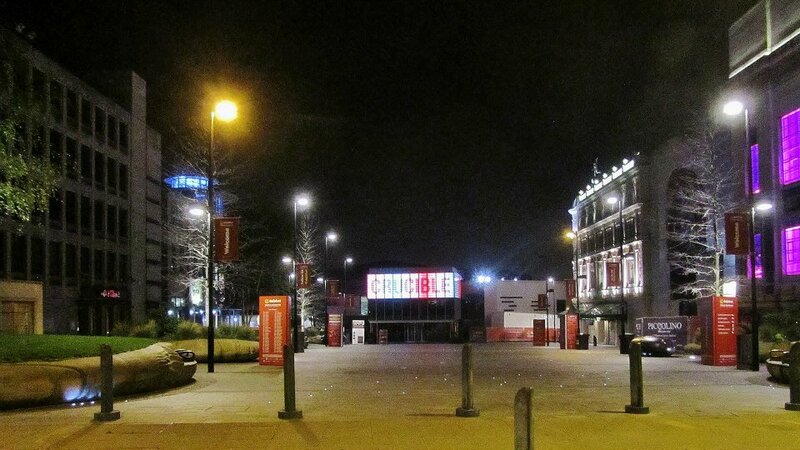 On Monday 28th April 2014, I went to the Crucible Theatre to watch the conclusion of the second round match between Shaun Murphy and Marco Fu. 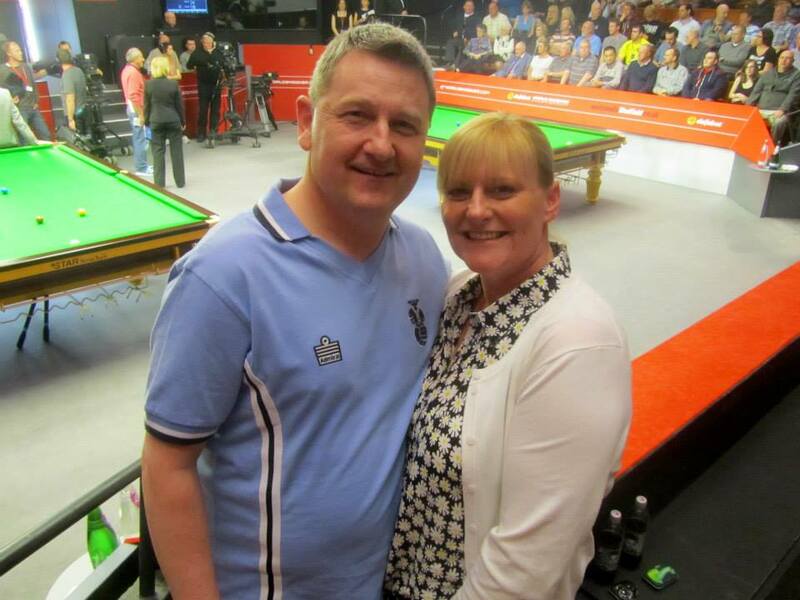 Day 10 of the Wold Snooker Championship saw the second round come to a conclusion. 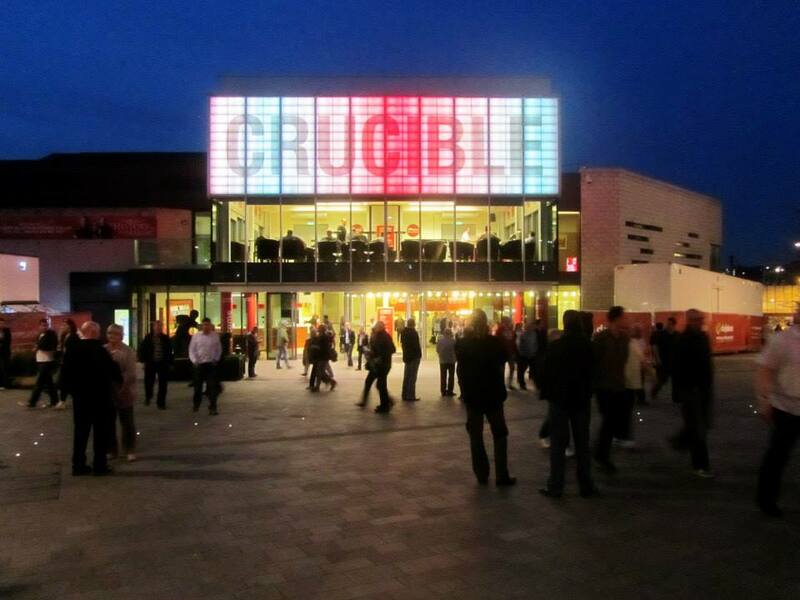 With six of the eight quarter finalists already known I headed to the Crucible Theatre to see the final two matches – Judd Trump v Ryan Day and the match I would be watching, Shaun Murphy v Marco Fu. 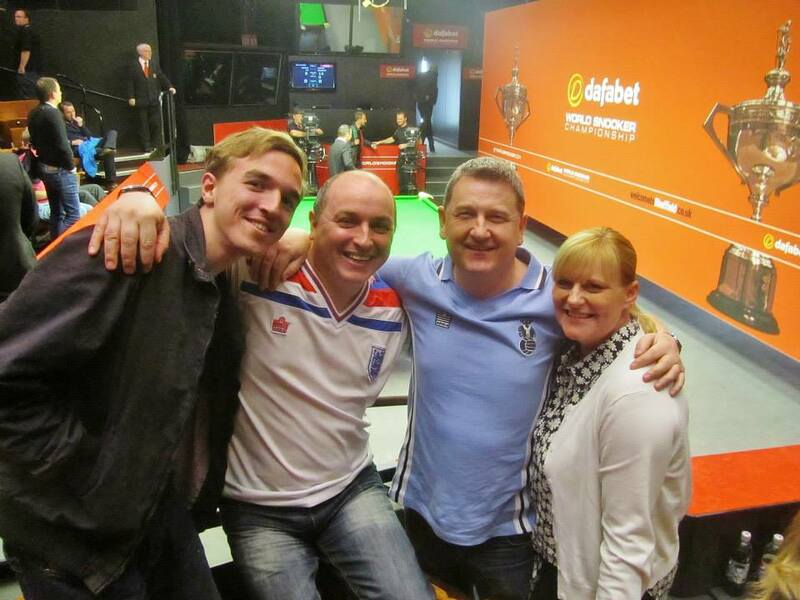 It was a nice day in Sheffield and before the session, me and my Dad caught up with some of the usual visitors to the Crucible! 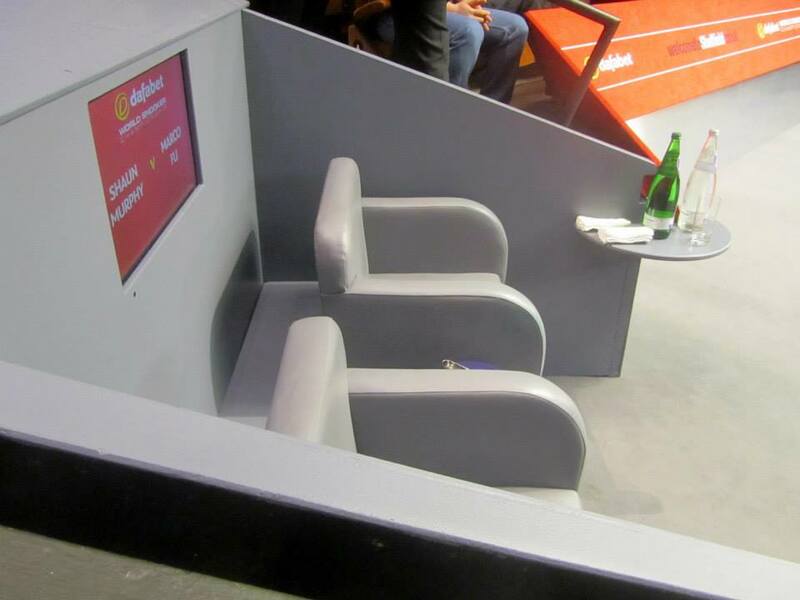 While Snooker is such a global sport these days, you can always guarantee that certain people will be in the audience year after year and this kind of dedication to the sport is fantastic to see. 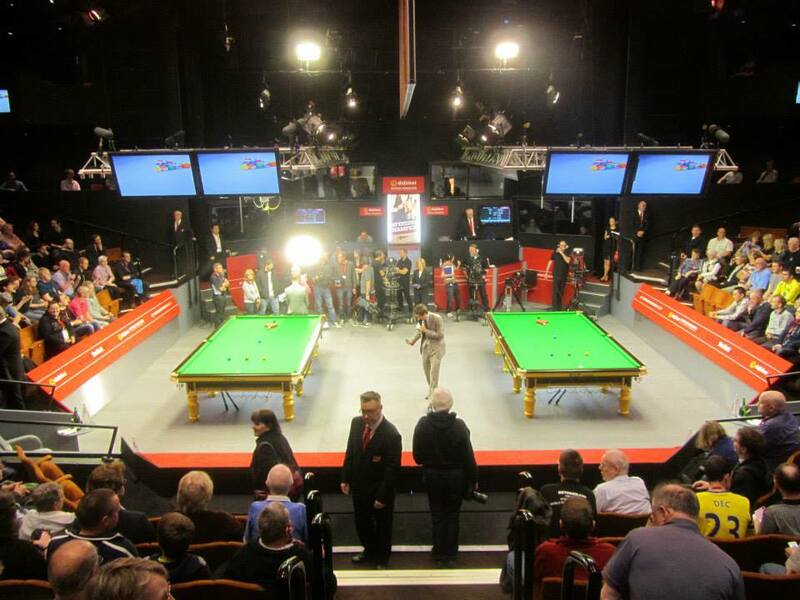 With around 15 minutes to go until the start of the evening session, we headed inside and took our row B seats at the Crucible. MC Rob Walker did his usual job of getting the crowd excited ahead of the action’s commencement. 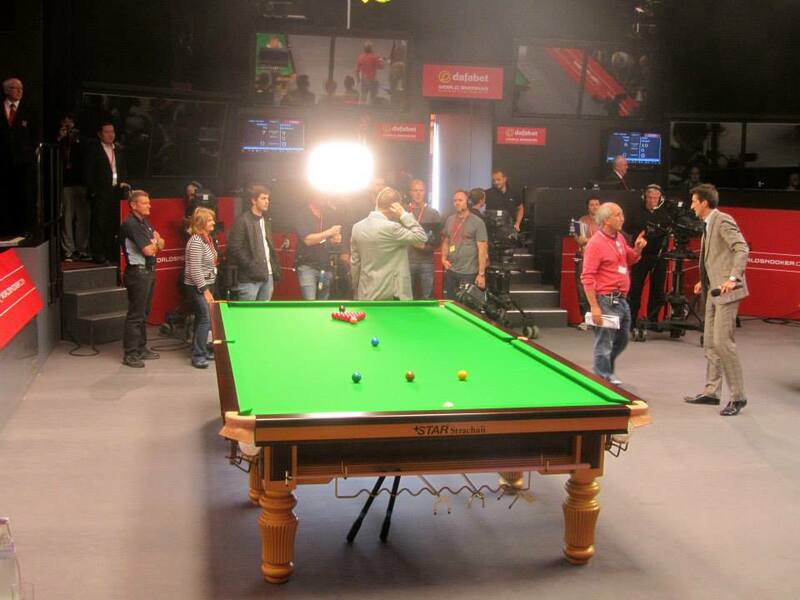 Hazel Irvine and seven-times World Champion Stephen Hendry were inside the venue presenting the evening’s action to the world and Hendry even tweeted a photo of himself at table-side with me in the background! 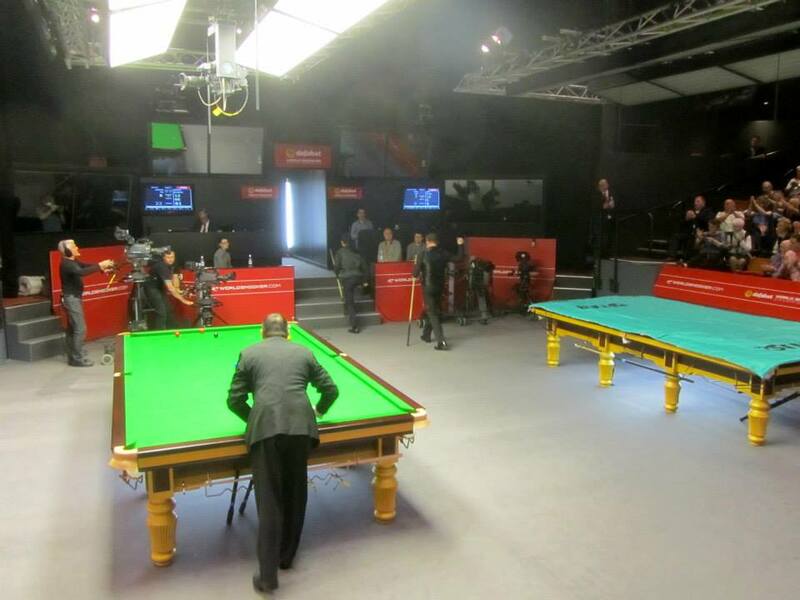 Following the BBC introduction, the four players made their way to centre stage and the action got underway. 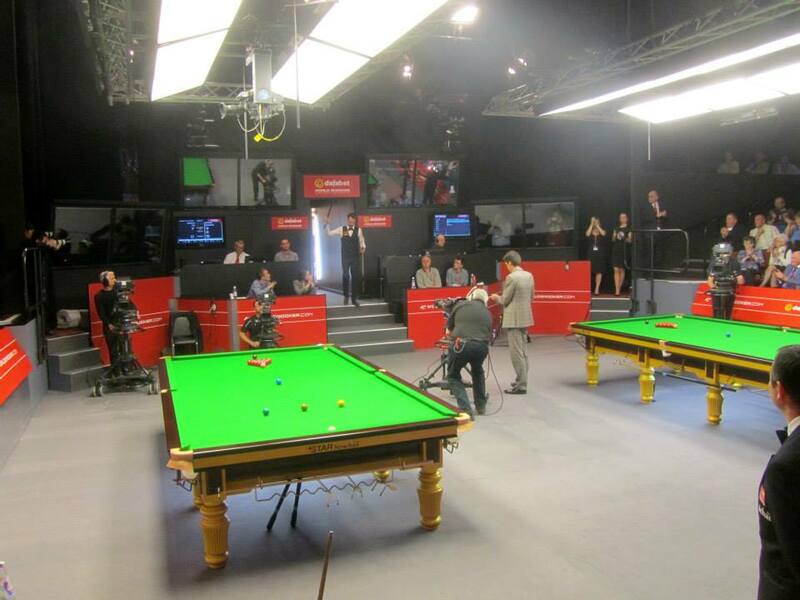 I was watching the table 1 match between Murphy and Fu, a match that saw the 2005 World Champion holding a 9-7 lead heading into this final session of the best of 25 frames contest. 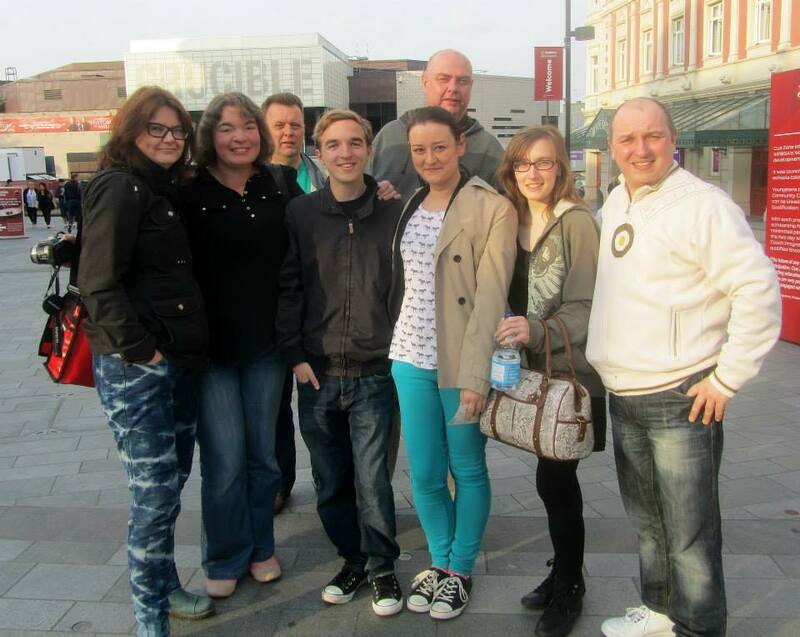 The first frame of the evening could have gone either way. Fu got in the first but the man from Hong Kong lost position on 27 and a few shots later, Murphy was in to clear up with a break of 69 to extend his lead to 10-7. 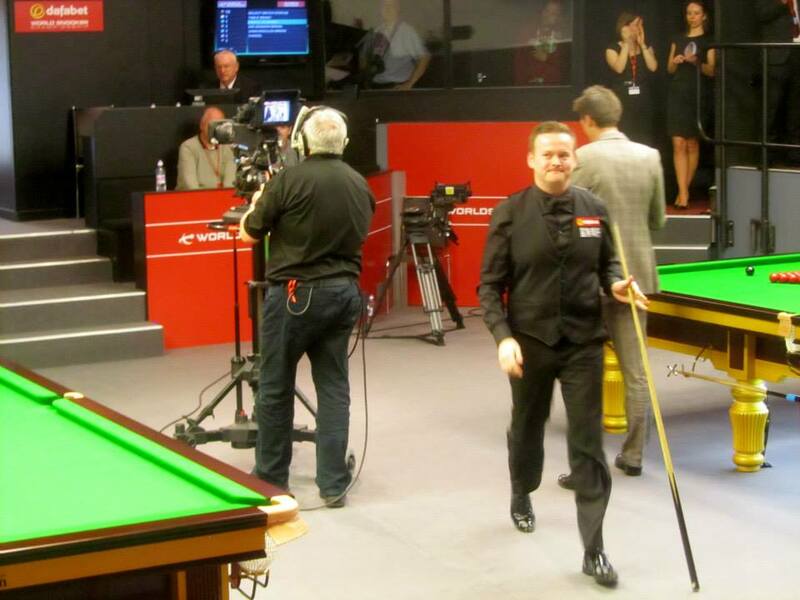 Another close frame was once again stolen by Murphy who took it on the black, before a break of 75. 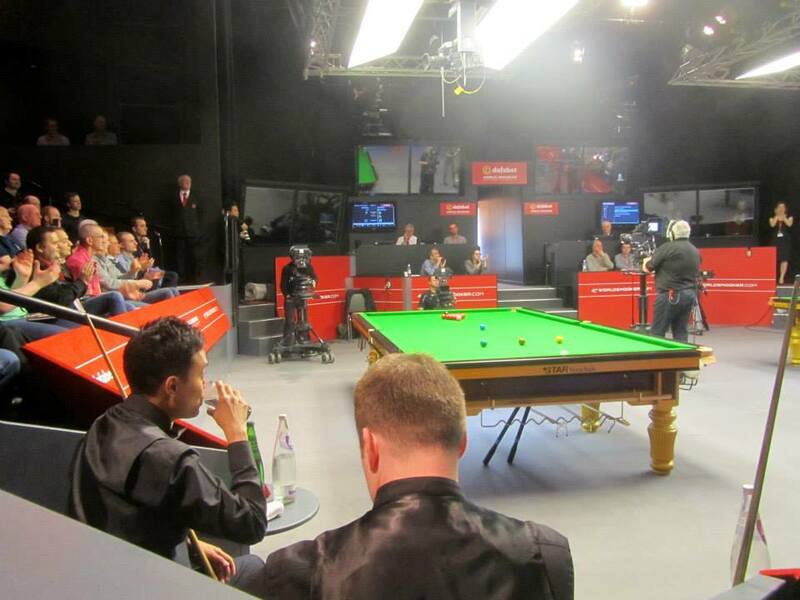 Fu made sure there would be a mid-session interval with a magnificent break of 92. 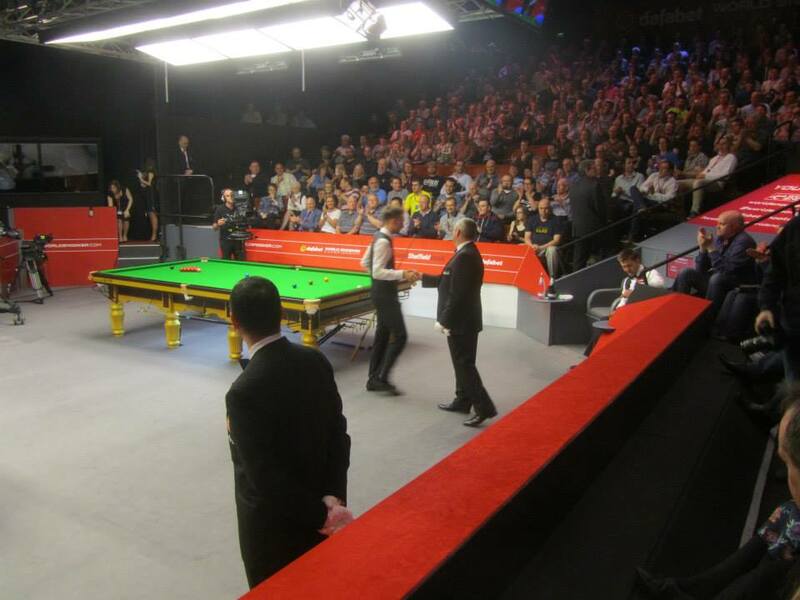 For the first frame after the interval the players had the venue to themselves as Judd Trump completed a 13-7 victory over Welshman Ryan Day. This proved to be the final frame of the session as a 66 from Murphy completed a 13-8 win to book his place in the Quarter Finals against Ronnie O’Sullivan. 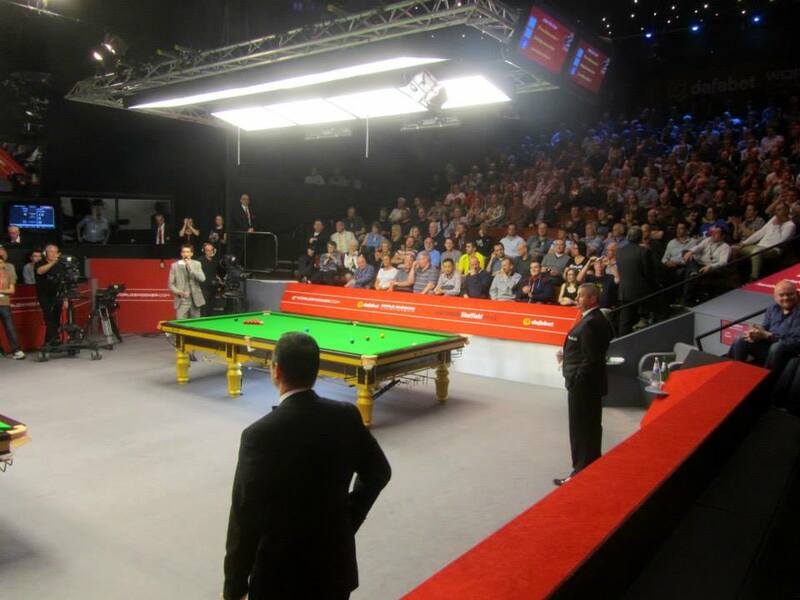 The tournament is beginning to reach the business end and it is at this stage that things really begin to get exciting. 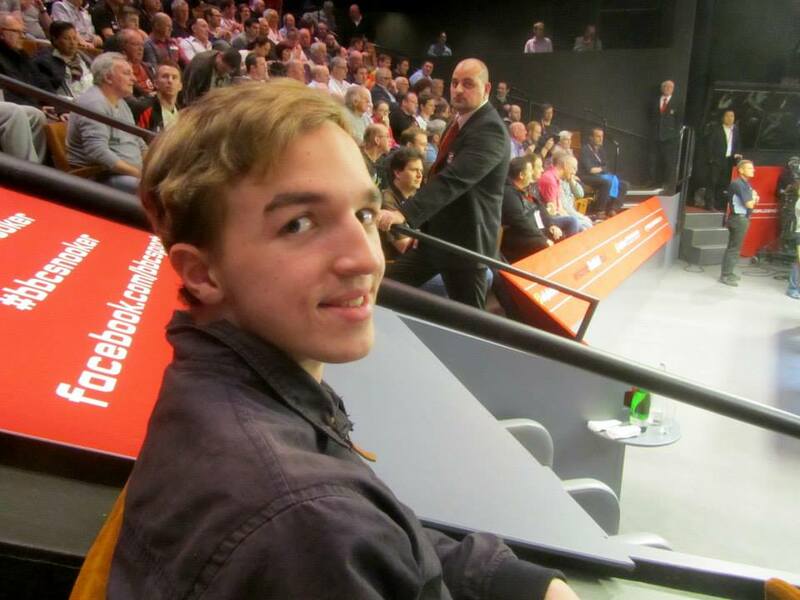 This evening’s session was my final visit of the 2014 tournament. 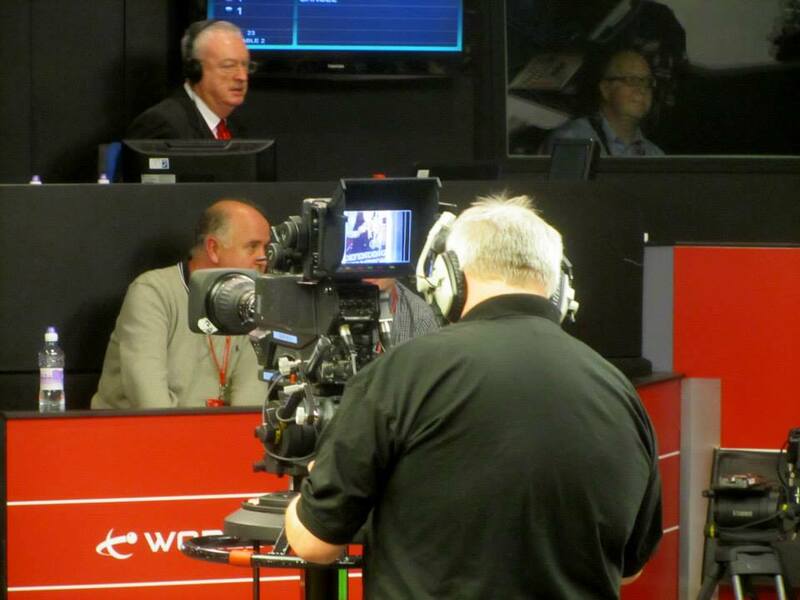 As ever I have seen some brilliant snooker and it has been hugely enjoyable! 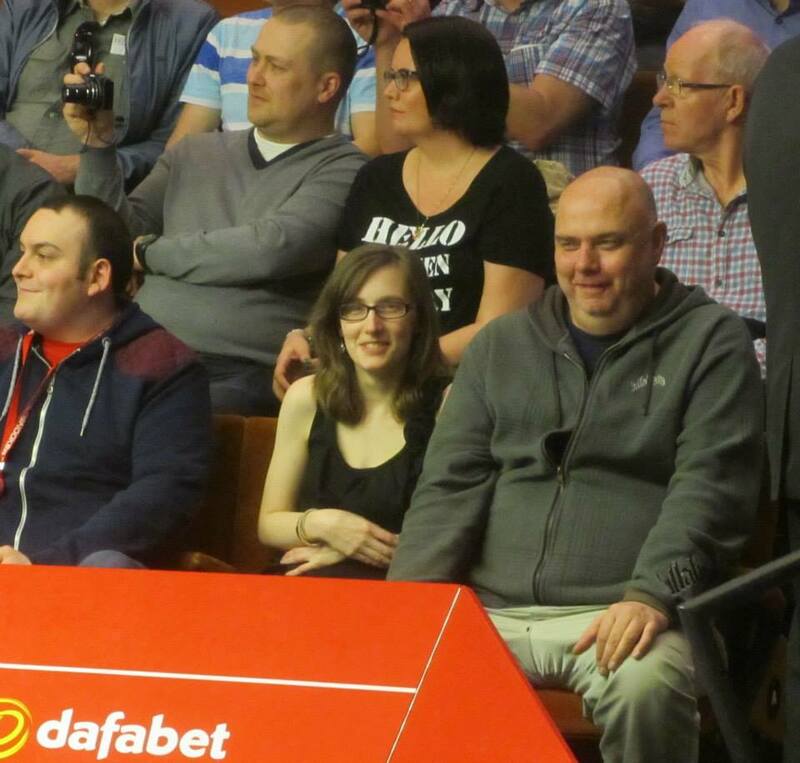 Brian and Lisa, always on the front row!